In an increasingly digital world, video is now a critical part of any comprehensive think tank communications strategy that seeks to have an impact on policy decisions and public opinion. This course will teach you how to confidently manage the production and distribution of high quality videos about your work. Communications professionals, researchers and project staff who want to better understand how to use video to communicate their ideas and research. Please note that this is not a production course. It is designed for think tank staff who may oversee video projects, or want to work with filmmakers to create videos about their work. Effective strategies for creating videos about policy issues. Identifying your goals and audiences. Best practices for narrative development and production. Practical issues: from budget and timelines to equipment and crew. Overseeing the production and post-production. Creating a campaign around your video assets. Best practices and effective distribution strategies. Create a video proposal for a research topic you are working on. The proposal should include a strategy for production and distribution. For an additional fee (GBP 30) you can receive personalised feedback from the trainer. This course costs GBP 75. For an optional fee of GBP 30, your personal task will be reviewed by the trainer and you will receive a certificate of completion. Join the webinar by registering through Eventbrite below. Registration closes: Wednesday 12 September 2018. Before signing-up, please review our terms and conditions. Michael Kleiman is an award-winning filmmaker and the founder of MediaTank Productions, a production company that specializes in public policy content. Michael’s feature documentaries include Web (2013) – which won the Audience Award at the 2013 Doc NYC Film Festival and the Special Jury Prize at the 2014 Atlanta Film Festival – and The Last Survivor (2010) – which premiered at the 2010 Oxford Film Festival, where it was named Best Documentary and won the Audience Award for Best Film before going on to play over 250 venues around the world. 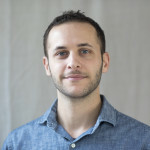 In 2018, Michael spearheaded the We Have Rights campaign in collaboration with the American Civil Liberties Union and Brooklyn Defender Services. The project, which was aimed at helping immigrant communities in the US better understand their rights during encounters with Immigration and Customs Enforcement, consists of four animated videos voiced in seven languages by an all-star cast of celebrities and activists. The series received millions of views upon its online launch and is currently being used by service providers, advocates and government consulates across the US. Michael’s short films have been featured in The New York Times, Wired, NowThis and AOL. Michael was named a Fulbright Scholar by the U.S. State Department. He received a Master’s in Public Policy from the Harvard Kennedy School and a B.A. in Cinema Studies from the University of Pennsylvania.